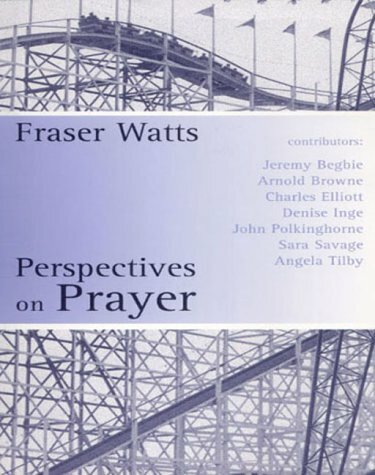 Perspectives on Prayer by Fraser N. Watts: SPCK Publishing 9780281053674 - Anybook Ltd.
Synopsis: Highly authoritative and respected editor; Offers new perspectives on a major part in the practice of faith; The contributors are all well-known in their field; This book has the aim of helping us to understand prayer more fully from a range of different perspectives including prayer and the Bible, society, science, psychology, poetry, music, the body, and sexuality. The insights that it offers will enrich the personal prayer life. About the Author&colon; Fraser Watts is Starbridge Lecturer in the University of Cambridge, and a major figure in the field of psychology and religion. Other contributors include Arnold Brown, Charles Elliott, John Polkinghorne, Denise Inge, Jeremy Begbie, Sara Savage and Angela Tilby.